Publius Ovidius Naso (Classical Latin: [ˈpʊ.blɪ.ʊs ɔˈwɪ.dɪ.ʊs ˈnaː.soː]; 20 March 43 BC – AD 17/18), known as Ovid (/ˈɒvɪd/) in the English-speaking world, was a Roman poet who lived during the reign of Augustus. He was a contemporary of the older Virgil and Horace with whom he is often ranked as one of the three canonical poets of Latin literature. The Imperial scholar Quintilian considered him the last of the Latin love elegists. He enjoyed enormous popularity, but, in one of the mysteries of literary history, he was sent by Augustus into exile in a remote province on the Black Sea, where he remained until his death. Ovid himself attributes his exile to carmen et error, "a poem and a mistake", but his discretion in discussing the causes has resulted in much speculation among scholars. 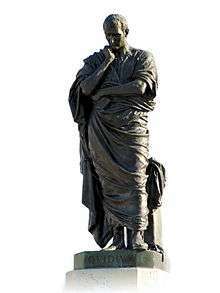 The first major Roman poet to begin his career during the reign of Augustus, Ovid is today best known for the Metamorphoses, a 15-book continuous mythological narrative written in the meter of epic, and for collections of love poetry in elegiac couplets, especially the Amores ("Love Affairs") and Ars Amatoria ("The Art of Love"). His poetry was much imitated during Late Antiquity and the Middle Ages, and greatly influenced Western art and literature. The Metamorphoses remains one of the most important sources of classical mythology. 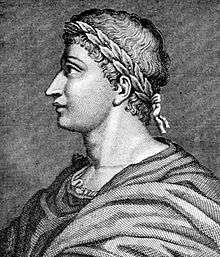 Ovid's first recitation has been dated to around 25 BC, when he was eighteen. He was part of the circle centered on the patron Marcus Valerius Messalla Corvinus, and seems to have been a friend of poets in the circle of Maecenas. In Trist. 4.10.41–54, Ovid mentions friendships with Macer, Propertius, Horace, Ponticus and Bassus (he only barely met Virgil and Tibullus, a fellow member of Messalla's circle whose elegies he admired greatly). 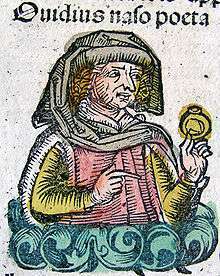 Ovid was very popular at the time of his early works, but was later exiled by Augustus in AD 8. By AD 8, he had completed his most ambitious work, the Metamorphoses, a hexameter epic poem in 15 books. The work encyclopedically catalogues transformations in Greek and Roman mythology, from the emergence of the cosmos to the deification of Julius Caesar. The stories follow each other in the telling of human beings transformed to new bodies: trees, rocks, animals, flowers, constellations etc. At the same time, he worked on the Fasti, a six-book poem in elegiac couplets on the theme of the calendar of Roman festivals and astronomy. The composition of this poem was interrupted by Ovid's exile,[c] and it is thought that Ovid abandoned work on the piece in Tomis. It is probably in this period, if they are indeed by Ovid, that the double letters (16–21) in the Heroides were composed. In AD 8, Ovid was banished to Tomis, on the Black Sea, by the exclusive intervention of the Emperor Augustus, without any participation of the Senate or of any Roman judge. This event shaped all his following poetry. 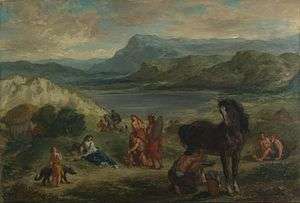 Ovid wrote that the reason for his exile was carmen et error – "a poem and a mistake," claiming that his crime was worse than murder, more harmful than poetry. In 1923, scholar J. J. Hartman proposed a theory that is little considered among scholars of Latin civilization today: that Ovid was never exiled from Rome and that all of his exile works are the result of his fertile imagination. This theory was supported and rejected in the 1930s, especially by Dutch authors. The Heroides markedly reveal the influence of rhetorical declamation and may derive from Ovid's interest in rhetorical suasoriae, persuasive speeches, and ethopoeia, the practice of speaking in another character. 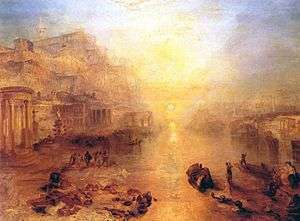 They also play with generic conventions; most of the letters seem to refer to works in which these characters were significant, such as the Aeneid in the case of Dido and Catullus 64 for Ariadne, and transfer characters from the genres of epic and tragedy to the elegiac genre of the Heroides. The letters have been admired for their deep psychological portrayals of mythical characters, their rhetoric, and their unique attitude to the classical tradition of mythology. The Ars Amatoria is a Lehrgedicht, a didactic elegiac poem in three books that sets out to teach the arts of seduction and love. The first book address men and teaches them how to seduce women, the second, also to men, teaches how to keep a lover. The third addresses women and teaches seduction techniques. The first book opens with an invocation to Venus, in which Ovid establishes himself as a praeceptor amoris (1.17)—a teacher of love. Ovid describes the places one can go to find a lover, like the theater, a triumph, which he thoroughly describes, or arena—and ways to get the girl to take notice, including seducing her covertly at a banquet. Choosing the right time is significant, as is getting into her associates' confidence. The Metamorphoses, Ovid's most ambitious and popular work, consists of a 15-book catalogue written in dactylic hexameter about transformations in Greek and Roman mythology set within a loose mytho-historical framework. Within an extent of nearly 12,000 verses, almost 250 different myths are mentioned. Each myth is set outdoors where the mortals are often vulnerable to external influences. The poem stands in the tradition of mythological and aetiological catalogue poetry such as Hesiod's Catalogue of Women, Callimachus' Aetia, Nicander's Heteroeumena, and Parthenius' Metamorphoses. One loss, which Ovid himself described, is the first five-book edition of the Amores, from which nothing has come down to us. The greatest loss is Ovid's only tragedy, Medea, from which only a few lines are preserved. Quintilian admired the work a great deal and considered it a prime example of Ovid's poetic talent. Lactantius quotes from a lost translation by Ovid of Aratus' Phaenomena, although the poem's ascription to Ovid is insecure because it is never mentioned in Ovid's other works. A line from a work entitled Epigrammata is cited by Priscian. Even though it is unlikely, if the last six books of the Fasti ever existed, they constitute a great loss. Ovid also mentions some occasional poetry (Epithalamium, dirge, even a rendering in Getic,) which does not survive. Also lost is the final portion of the Medicamina. Ovid has been seen as taking on a persona in his poetry that is far more emotionally detached from his mistress and less involved in crafting a unique emotional realism within the text than the other elegists. This attitude, coupled with the lack of testimony that identifies Ovid's Corinna with a real person has led scholars to conclude that Corinna was never a real person—and that Ovid's relationship with her is an invention for his elegiac project. 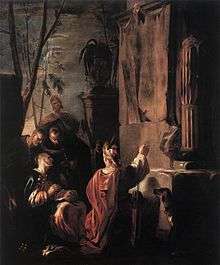 Some scholars have even interpreted Corinna as a metapoetic symbol for the elegiac genre itself. (2007) the play"The Land of Oblivion " by Russian-American dramatist Mikhail Berman-Tsikinovsky was published in Russian by Vagrius Plus (Moscow).The play was based on author's new hypothesis unrevealing the mystery of Ovid's exile to Tomi by Augustus. (2013) Another literary piece by Mikhail Berman-Tsikinovsky was published by Aspekt Publishing (Boston) in Russian and English under the title " To Ovid, 2000years later, ( A Road Tale). 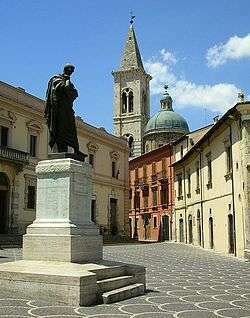 It was the breathtaking description of author's visits of Ovid's places of his birth and death. ↑ Random House Webster's Unabridged Dictionary: "Ovid"
↑ Fergus Millar, "Ovid and the Domus Augusta: Rome Seen from Tomoi," Journal of Roman Studies 83 (1993), p. 6. ↑ Hornblower, Simon; Spawforth, Antony; Eidinow, Esther (2014). The Oxford Companion to Classical Civilization. Oxford University Press. p. 562. ISBN 978-0-19-870677-9. ↑ Hornblower, Simon; Antony Spawforth (1996). Oxford Classical Dictionary. Oxford University Press. p. 1085. ↑ See Trist. II, 131–132. ↑ José González Vázquez (trans. ), Ov. Tristes e Pónticas (Editorial Gredos, Madrid, 1992), p.10 and Rafael Herrera Montero (trans. ), Ov. Tristes; Cartas del Ponto (Alianza Editorial, Madrid, 2002). The scholars also add that it was no more indecent than many publications by Propertius, Tibullus and Horace that circulated freely in that time. ↑ The first two lines of the Tristia communicate his misery:Parve – nec invideo – sine me, liber, ibis in urbem; ei mihi, quod domino non licet ire tuo! Little book – for I don't begrudge it – go on to the city without me; Alas for me, because your master is not allowed to go with you! ↑ J. C. Thibault, The Mystery of Ovid's Exile (Berkeley-L. A. 1964), p.20–32. ↑ About 33 mentions, according to Thibault (op. cit., p.27–31). ↑ A. W. J. Holleman, "Ovid's exile", Liverpool Classical Monthly 10.3 (1985), p. 48. ↑ A. D. F. Brown, "The unreality of Ovid's Tomitan exile", Liverpool Classical Monthly 10.2 (1985), p. 18–22. ↑ Cf. Naturalis Historia, 32.152: "His adiciemus ab Ovidio posita animalia, quae apud neminem alium reperiuntur, sed fortassis in Ponto nascentia, ubi id volumen supremis suis temporibus inchoavit". ↑ Cf. Silvae, 1.2, 254–255: "nec tristis in ipsis Naso Tomis". ↑ Short references in Jerome (Chronicon, 2033, an. Tiberii 4, an. Dom. 17: "Ovidius poeta in exilio diem obiit et iuxta oppidum Tomos sepelitur") and in Epitome de Caesaribus (I, 24: "Nam [Augustus] poetam Ovidium, qui et Naso, pro eo, quod tres libellos amatoriae artis conscripsit, exilio damnavit"). ↑ A. D. F. Brown, "The unreality of Ovid's Tomitan exile", Liverpool Classical Monthly 10.2 (1985), p. 20–21. ↑ J. M. Claassen, "Error and the imperial household: an angry god and the exiled Ovid's fate", Acta classica: proceedings of the Classical Association of South Africa 30 (1987), p. 31–47. ↑ Knox, P. Ovid's Heroides: Select Epistles (Cambridge, 1995) pp.14ff. ↑ Athanassaki, Lucia (1992). "The Triumph of Love in Ovid's Amores 1, 2". Materiali e discussioni per l'analisi dei testi classici. No. 28: 125–141. JSTOR 40236002. ↑ Herbert-Brown, G. "Fasti: the Poet, the Prince, and the Plebs" in Knox, P. (2009) pp.126ff. ↑ Quint. Inst. 10.1.98. Cfr. Tacitus, Dial. Orat. 12. ↑ Inst. gramm. 5, 13, Gramm. Lat. 2, 149, 13 Keil. ↑ Ettore Bignone, Historia de la literatura latina (Buenos Aires: Losada, 1952), p.309. ↑ A. Guillemin, "L’élement humain dans l’élégie latine". In: Revue des études Latines (Paris: Les Belles Lettres, 1940), p. 288. ↑ In fact, it is generally accepted in most modern classical scholarship on elegy that the poems have little connection to autobiography or external reality. See Wycke, M. "Written Women:Propertius' Scripta Puella" in JRS 1987 and Davis, J. Fictus Adulter: Poet as Auctor in the Amores (Amsterdam, 1989) and Booth, J. "The Amores: Ovid Making Love" in A Companion to Ovid (Oxford, 2009) pp.70ff. 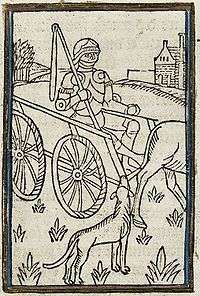 ↑ Apuleius Apology 10 provides the real names for every elegist's mistress except Ovid's. ↑ Barsby, J. Ovid Amores 1 (Oxford, 1973) pp.16ff. ↑ Keith, A. "Corpus Eroticum: Elegiac Poetics and Elegiac Puellae in Ovid's 'Amores'" in Classical World (1994) 27–40. ↑ Jean Bayet, Literatura latina (Barcelona: Ariel, 1985), p.278 and Barsby, pg.23ff. ↑ Quoted by Theodore F. Brunner, "Deinon vs. eleeinon: Heinze Revisited" In: The American Journal of Philology, Vol. 92, No. 2 (Apr., 1971), pp. 275–284. 1 2 3 Brooks Otis, Ovid as an epic poet, p.264. ↑ KENNEY, E. J. y CLAUSEN, W. V. História de la literatura clásica (Cambridge University), vol. II. Literatura Latina. Madrid: Gredos, w/d, p.502. ↑ Ov. Rem. VI, 6. ↑ Robert Levine, "Exploiting Ovid: Medieval Allegorizations of the Metamorphoses," Medioevo Romanzo XIV (1989), pp. 197–213. ↑ Agostinho de Jesus Domingues, Os Clássicos Latinos nas Antologias Escolares dos Jesuítas nos Primeiros Ciclos de Estudos Pré-Elementares No Século XVI em Portugal (Faculdade de Letras da Universidade do Porto, 2002), Porto, p.16–17. ↑ Serafim da Silva Leite, História da Companhia de Jesus no Brasil. Rio de Janeiro, Instituto Nacional do Livro, 1949, pp. 151–2 – Tomo VII. ↑ Frederick A. De Armas, Ovid in the Age of Cervantes (Toronto: University of Toronto Press, 2010), pp. 11–12. ↑ Ovid's Metamorphoses, Alan H. F. Griffin, Greece & Rome, Second Series, Vol. 24, No. 1 (Apr., 1977), pp. 57–70. Cambridge University Press. ↑ "Recent Acquisitions, A Selection: 2007–2008," in The Metropolitan Museum of Art Bulletin, v. 66, no. 2 (Fall, 2008). ↑ Reynolds, Gillian (April 13, 2004). "Tune in, and turn back the clock". The Daily Telegraph. London. ↑ Ovid. "ELEGY XI: WEARY AT LENGTH OF HIS MISTRESS' INFIDELITIES, HE SWEARS THAT HE WILL LOVE HER NO LONGER". Sacred Texts. Retrieved November 14, 2015. ↑ Faherty, Allanah Faherty (November 9, 2015). "5 Things You Might Have Missed in The Walking Dead 'Now'". MoviePilot. ↑ (Portuguese) Met., Ovid, translation to Portuguese by Paulo Farmhouse Alberto, Livros Cotovia, Intro, p.11. ↑ Carlos de Miguel Moura. O mistério do exílio ovidiano. In Portuguese. In: Àgora. Estudos Clássicos em Debate 4 (2002), pp. 99–117. ↑ Tristia 1, 7, 14.